Home Website The Role of Background Image in Web Design - Are You Selecting the Right Backdrop? The Role of Background Image in Web Design - Are You Selecting the Right Backdrop? A good web design is essential for a business website. Creating an engaging business website can exponentially increase the profits of a business owner. 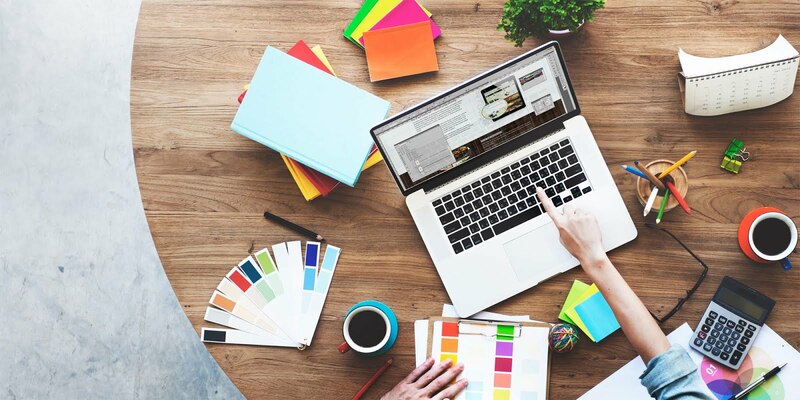 Many design elements and tools are available for business owners to choose from when they want to create their website. One of the newest trends that are becoming popular worldwide amongst business owners is in the use of a picture or a photo as the main background image for the website. A good image is difficult to defeat, and they can be highly instrumental in selling your website, drawing in more visitors and finally showcasing and presenting your products and services which your business offers to the broader world. You will not only reach out to your local audience, but also find new viewers from other parts of the world visit your website, and thereby giving you more potential customers. Photos add to the design and can boost conversion rates. In this article, you will learn about how to use background photos efficiently in your web design. You cannot use any random image. You must have a few essential factors in mind when you want to select a picture for web site’s background. You must pay attention to the photo’s size and proportion, its color, and its sharpness. Big photos: You must ensure using a big photo, do not ever compromise on the quality of the image. Put a picture that has the resolutions to support itself as a background image for your business website. Photos have to be of high quality and high resolution. It has to load fast also. You must size your images properly so that the site loads quickly. The photos must also convey some messages about your business. It has to relate to the content put on the website and your business products. You can choose an image which people can relate to easily like images of faces, backgrounds, your company's products or animals, et cetera. You must put your logos and your texts in sync with the image you put. There must be enough room on the picture for these to work. Color: What color you choose is also important in your design. The color of the image you choose will decide the mood of your website and the messages which you are trying to convey. Use color photos and black and white photos judiciously. Use monochrome images also. Always think of you are trying to convey and then decide on the color choices and the patterns you choose. Pictures with low contrasts will make the image blend well in the background giving you the opportunity to put in more text in the foreground. Also, decide how bright your photo would be; all these would go on to generate an organic impression about your website in the minds of the viewer. Hence, use the colors of the photos for your website's background wisely. Blurred images are also a good creative choice: They can make a user stop and wonder about the content and its context. Out of focus images make it easy to put in other essential elements to your design while giving the impression that there isn't too much of clutter in your web design or your photo. Blurred images can be very impactful. But remember that when you select a fuzzy picture, it has to be simple enough for the readers to at least comprehend what it is and how it relates with your products and the messages you want to convey to the viewer. You can visit SEO Brisbane, to get the best professional help and consultancy relating to your web designing problems and also your search engine optimization queries, if you should have them. A good background image accentuates and enhances a website's design. It can immediately draw attention to the website's core messages and business ventures. It will grab eyeballs quickly, and if executed correctly then the photo will help in drawing target audiences in also. However, choosing the right photo is hard work. Various factors depend upon its selection: like the type of business the website is for, the exact business goals, the target audience that the site is for and whom the company serves, et cetera. Hopefully, from this article, you have learned about how to choose a good photo for your website's requirements efficiently. Author bio: John Willis writes for many SEO and Web Designing blogs, he has written on the top industry secrets for search engine optimization for various leading newspapers like The Daily Times. John wants to share with everybody the easiest and simple methods by which people can optimize their business websites. He recommends using SEO Brisbane for all your web designing requirements.